The University is celebrating 150 years! It is not every day that an institution reaches such a milestone. 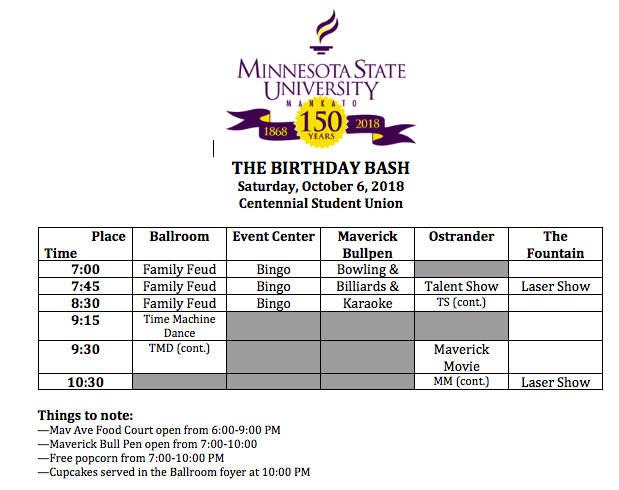 The University has already had over 150 events in the past year but this is the grand finale week. Happy Birthday to the University! The date marks the 150th anniversary of the official opening of Mankato Normal School which we know today as Minnesota State University, Mankato.